Many problems can arise both before and during your trip, having a comprehensive travel insurance policy can cover numerous problems that might happen, many people may never think of. Good travel insurance will not only protect your vacation, but more importantly protect you and your family in emergencies overseas, such as medical emergencies. It can protect your personal belongings and it will protect you financially. More importantly, travel insurance is very affordable, even for those traveling on a budget. According to the U.S. Travel Insurance Association, between spring of 2013 and fall of 2014, almost one-fourth of Americans had to either interrupt, delay, or cancel their travel plans for various reason. This usually happened because of illnesses, transportation delays, or because of serve weather. A good comprehensive travel insurance policy, such as those offered by Travelex, provides you with coverage for those types of problems that could end up unraveling your vacation, before and even during your trip. What many people don’t realize is travel insurance is actually very inexpensive, and will generally cost no more than 5 percent of the cost of your vacation or trip. 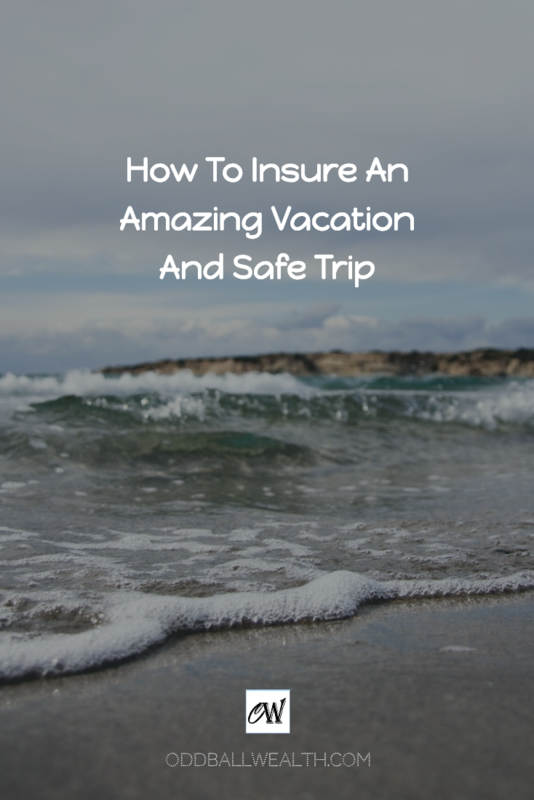 Most of the time you’re able to get insurance coverage up until 24-hours before departure of your trip or vacation. Although the sooner you purchase your travel insurance policy the better, that way you’ll be sure to get important time-sensitive coverage and benefits, which can include coverage for any current and preexisting conditions you may have. Whether you’re traveling for work or taking a vacation for pleasure, getting insured under a good travel protection policy is important. The majority of package plans offered by travel insurers will reimburse you for all sorts of things, like your nonrefundable prepaid trip expenses if you for any reason need to cancel your trip, which can happen, especially if death or illness unexpectedly arises of a family member or close friend. It also covers things like bad weather that can prevent you from leaving, or if unexpected financial hardship comes about, such as a layoff from your job, or even if a natural disaster strikes the destination you were planning on visiting and is no longer a desirable destination to travel to or visit. Also, with most plans, you’ll be reimbursed for flight delays, and lost or stolen luggage. Another important benefit that’s included in many good plans is 24/7 phone support, no matter where you are. What Happens If You Get Hurt Or Need Medical Attention On Your Trip? The possibility of becoming ill or getting hurt on your trip is always a real possibility, and having access to medical treatment is important, especially when you’re overseas. Generally speaking your health insurance you have at home, won’t cover you abroad, and the chances you’ll be able to pay for medical attention upfront and out-of-pocket while abroad is slim. Only in extremely rare situations will Medicare pay for treatment abroad, and just remember, medical treatment is very expensive everywhere you go. Travel insurance can cover the costs for your emergency medical care, with the medical and medevac component. Your policy will also cover medically equipped flights to get you to a hospital, and if needed it’ll even cover an emergency trip back home. The most common regret for travelers is not getting coverage sooner. By delaying to purchase a policy you risk losing out on important benefits and perks. What possible benefits and perks could you miss out on if you wait until last minute to get travel insurance? For instance, if you have any preexisting health or medical conditions, they generally won’t be covered under your travel insurance policy unless you purchase your policy within 10 to 30 days after you put initial down payment or deposit towards your trip. Something important to keep in mind if you have any sort of preexisting medical conditions you would like to be covered under your travel policy. Other reasons to purchase your travel insurance policy in advance is to allow you to get coverage for rare occurrences like a disease outbreak, which might be more common now with the recent spread of the Zika virus. Also, terrorist attacks, coverage for this may be more or less important depending on where you’re going, but if you think this type of coverage may be necessary, don’t wait until last minute to get your insurance policy or you may not be covered. Dangerous or disastrous weather is something that could happen anywhere. If bad weather or a natural disaster strikes your destination before you leave to go on your trip and forces you to cancel, it’ll be too late at that point to purchase travel insurance and you’ll be out whatever money you paid for your flight ticket and other travel arrangements. If however, you purchased travel insurance in advance, before the bad weather or natural disaster hit the destination you were planning on traveling to, since you’ve already purchased your policy you’ll be reimbursed for any travel expenses you had paid for in advance. The payoff can be huge when purchase your travel insurance in advance and not the day before you leave to go on your trip, for both financial reasons and medical reasons. Stay clear of travel insurance sold by airlines and cruise companies, as they generally only offer one plan type with limited coverage and zero choices. Be very cautious as to where and whom you purchase your insurance from, especially if you’ve never bought travel insurance before. Many airlines will offer you travel insurance as an add-on. Although, that seems affordable and convenient, these policies offer extremely limited benefits, have many restrictions, and generally have loop-holes in their policies which don’t benefit you, and only benefit the airline offering the coverage. To give you can example, Delta airlines provides a trip insurance add-on to select destinations for $50. That policy does offer reimbursement for trip cancellations, but for only a few reasons. To file a claim, they’ll make you file a lot of paper work, and then they’ll usually fight you on it, causing you stress and headaches. If they do end up reimbursing you, they won’t pay you for more than the price of your airline ticket. Medical coverage is limited to $10,000 and evacuation is limited to $50,000. When you search for travel insurance on price comparison websites, the same thing happens, they show you policies with poor coverage. Many times policies can be bought directly from a cruise company, and people who have purchased those policies have been very disappointed to find out that their reimbursement isn’t in the form of cash, but rather only a credit towards a future cruise. If you’re the type of person that doesn’t believe they need travel insurance, or thinks purchasing a policy is more of a bother than it’s worth, trust me, it is worth it. A good comprehensive travel insurance policy offers much more than just financial reimbursement, it can also save your life. For example, let’s say you’re traveling abroad and suddenly you need an emergency evacuation. In this situation, there is a lot going on, a lot of panic and worry, and more than likely you or the party you’re with will have absolutely no idea as to who you should call or what number to call. If you had bought a travel insurance policy through Travelex, they give you a 24-hour support number which you can call, and they will coordinate the emergency evaluation for you and even pay for it on your behalf. In the scenario above, this wouldn’t have been possible if you had bought a cheap knock-off policy from a discount insurer or your airline. Not to mention, with a cheap policy the price of an emergency evacuation is expensive, generally around six figures, and you would been stuck picking up the bill yourself. Travelex travel insurance is by far the most well established travel insurance company and the leader in the trip insurance world, and their policies truly offer the best coverage available. They’ve been in this business for over 55 years and their staff is the most experienced in the industry. Here are some of the advantages and benefits Travelex insurance policies offer and coverage that only their plans offer. This is just a list of a few of the benefits and coverage Travelex travel insurance offers, they also have other benefits and additional coverage you can add-on if needed. If you’re considering getting travel insurance I obviously suggest Travelex Insurance, but if you’re unsure you can learn more by visiting Travelex Insurance secure website.